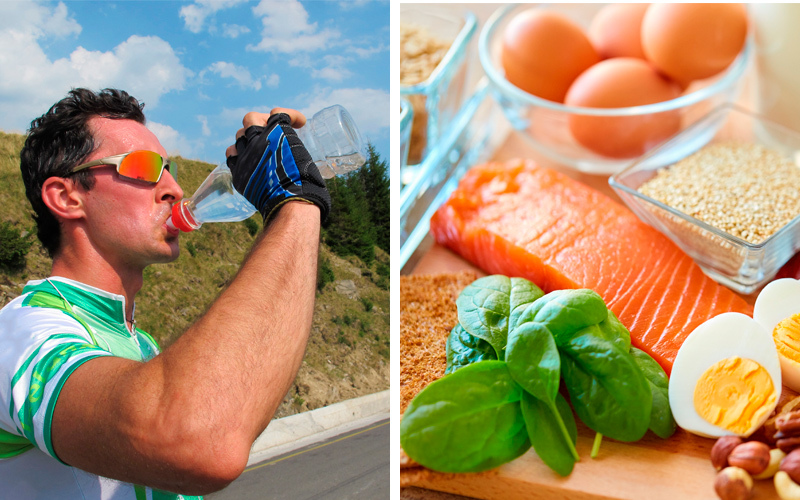 As you ramp up your training, you’ll need to eat to optimise your performance and allow your body to recover. Make sure you always include a pre- or post-training snack or meal, so be sure to grab some fruit and yogurt or laban mid-afternoon as a snack before you head to your after-work training session. Without proper fuel, your training progress may stall, and you will eventually regress. If you’re feeling tired all the time, despite getting enough rest, it’s a tell-tale sign that you might not be eating enough. You must make sure that you eat the right kinds of foods and in the right amounts. Carbohydrates, proteins and fats all play vital roles in the body and athletes need to pay close attention to how much of each one they eat. But don’t forget the vitamins and minerals as these are crucial to optimise how our bodies function. Carbohydrates replenish the glycogen in your body, fuelling your training, proteins support muscle synthesis and repair, and fats provide energy and can help keep your joints healthy. When training, it’s best if 45-65% of your calories come from carbohydrates as they are your body’s primary fuel, especially in a triathlon. Protein should make up 15-20% and fats 20-35%. Getting enough water is key to an athlete, especially when competing in hot climates. When you sweat during training you lose more than just water, you also lose salt which is vital to properly functioning. There’s no set amount of water athletes should drink as it varies from person to person. Drinking enough water is important, but if you are exercising for more than one hour continuously it is important to alternate water with a low-sugar sports drink to help replenish salts and electrolytes.